Elaine Dundon is co-founder and CEO of The OPA! Way®, a new approach to Living & Working with Meaning uniquely inspired by Greek philosophy and culture. Following her MBA, Elaine worked in Brand Management for 15 years, including at Procter & Gamble. She founded The Innovation Group Consulting Inc. (1995), was adjunct professor of a ground-breaking course in Innovation Management at the University of Toronto (1999+), and authored an international best-selling book, The Seeds of Innovation (2002). Her work has been featured globally in numerous leading publications. Through her consulting work with some of the world's best businesses, government agencies, and nonprofit organizations, her focus shifted to "the human side of innovation" and the development of new ways of thinking to deal with the complexities of today. Elaine is now leading the Meaning Movement by bringing Meaning and Metaphysics to the business and government worlds and encouraging leaders to find deeper Meaning by "knowing thyself" and serving humanity. 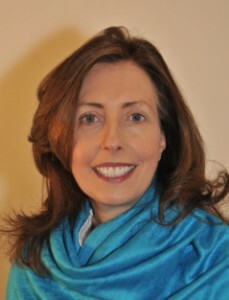 She is one of the founding members of the Board of Thinkers (Advisory Board) of the Boston Global Forum, an international nonprofit network of thought leaders, both academic and practitioners hosted at Harvard University, who collaborate on-line and in person for the purposes of identifying, discussing, and proposing meaningful, innovative, and practical solutions to issues of global concern.